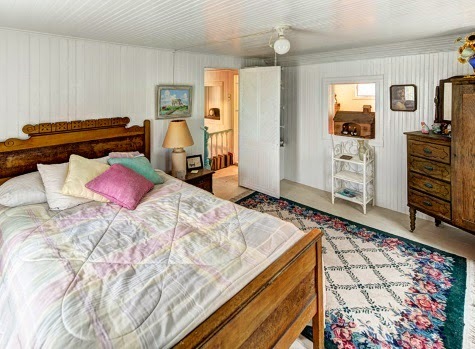 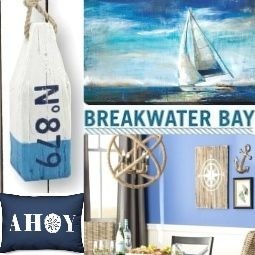 The sea-worthy nautical bedroom suite makeover from the DIY Network Blog Cabin, featured at Good Housekeeping. 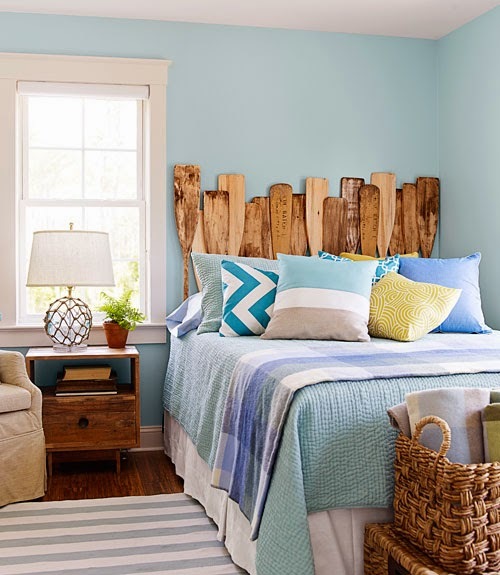 The bed in the room makes a big statement with its Oar Headboard. 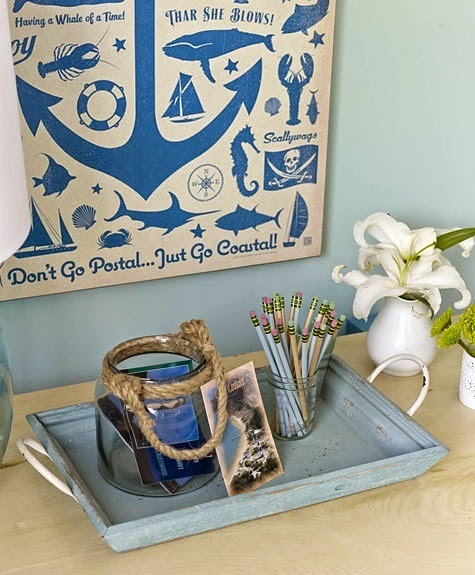 They created a desk nook in the room that is simple and budget friendly. 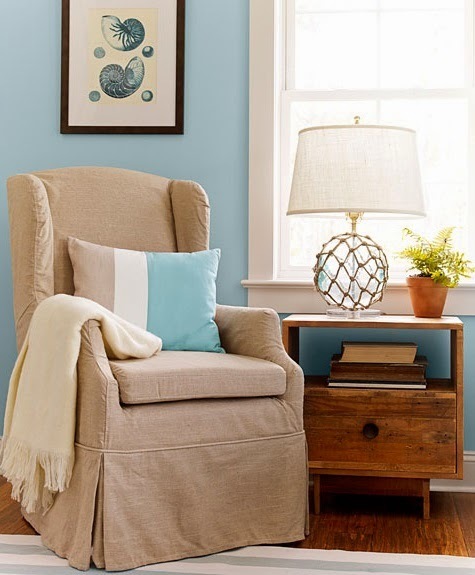 Ikea's trestle legs were spray painted in cobalt blue and topped with a door. 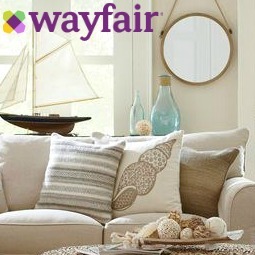 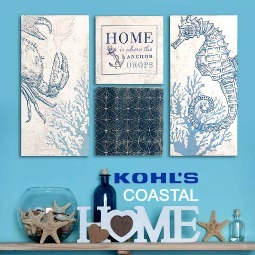 For the wall they chose an Anchor Vintage Print, found at Wayfair. 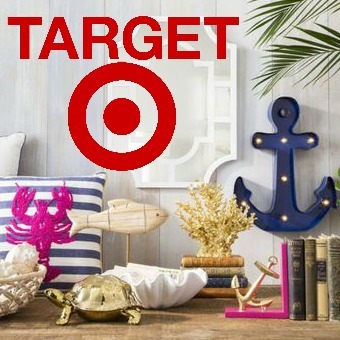 A few accessories and a Tray Chic display make the spot inviting. 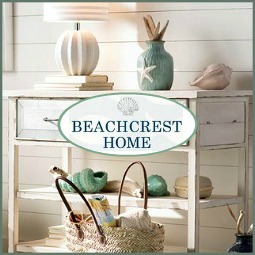 A rope jar is filled with local postcards. 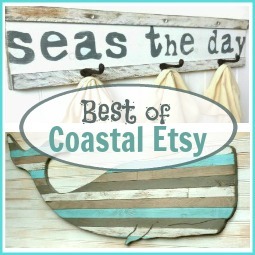 A great Seaglass Float Inspired Lamp sits on the night stand. 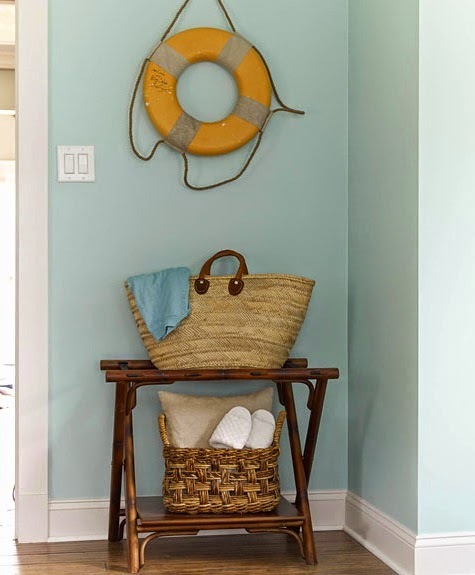 Life Ring Preservers make great Wall Decor. 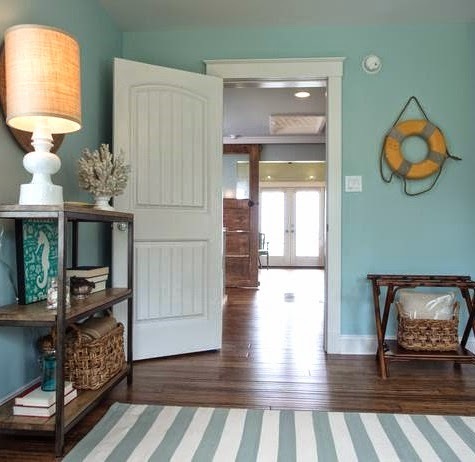 This picture is from DIY Network's Website. 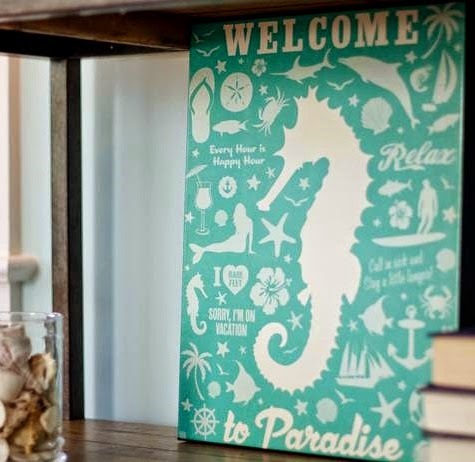 Vintage Seahorse Art that welcomes you to paradise. 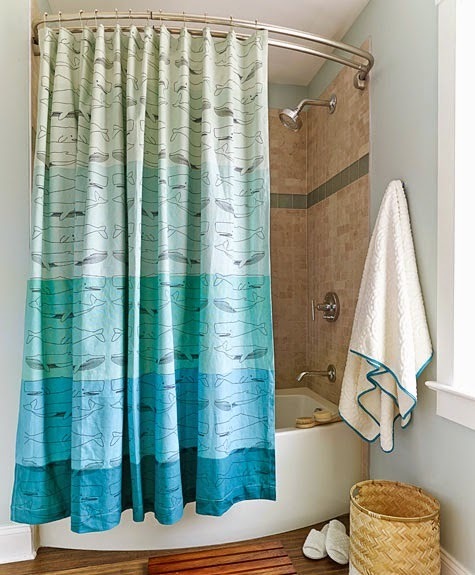 In the bathroom of this nautical bedroom suite they chose the whale shower curtain from Urban Outfitters (sold out) to echo the home's location. 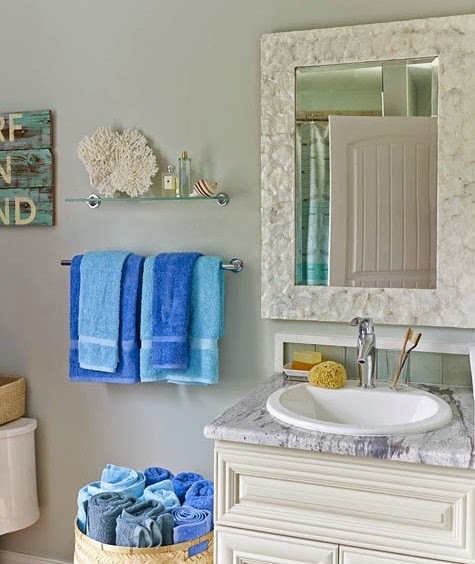 Blue towels brighten up the space. 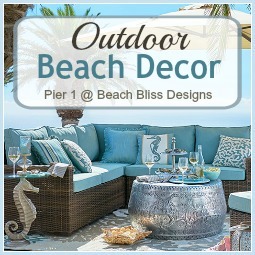 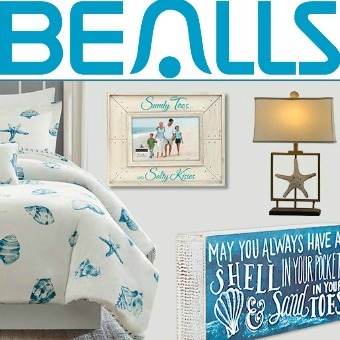 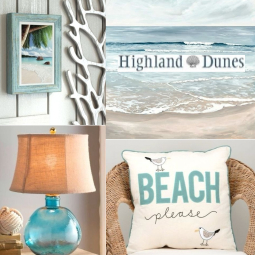 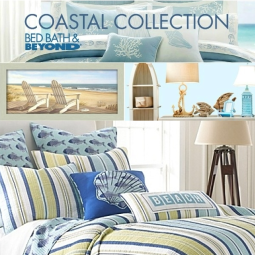 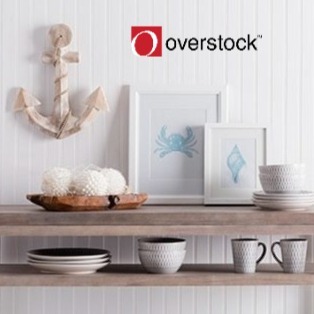 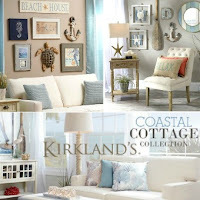 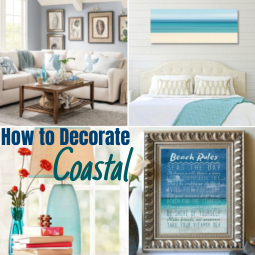 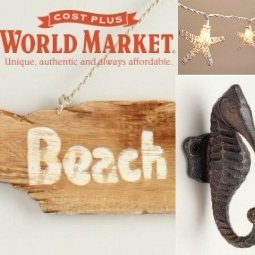 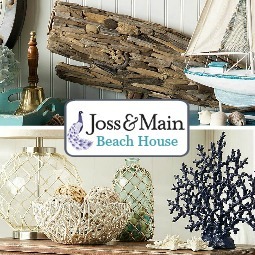 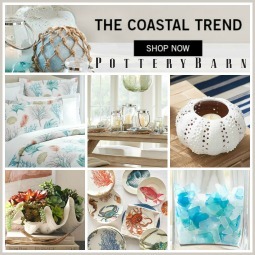 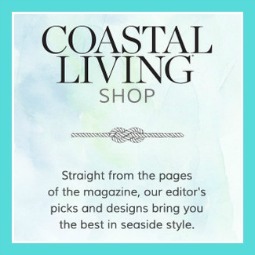 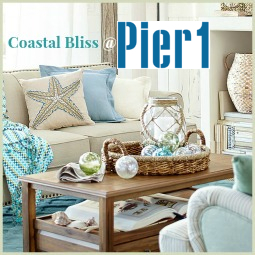 Other items that add coastal nautical charm are some coral and shells, and a weathered sign.